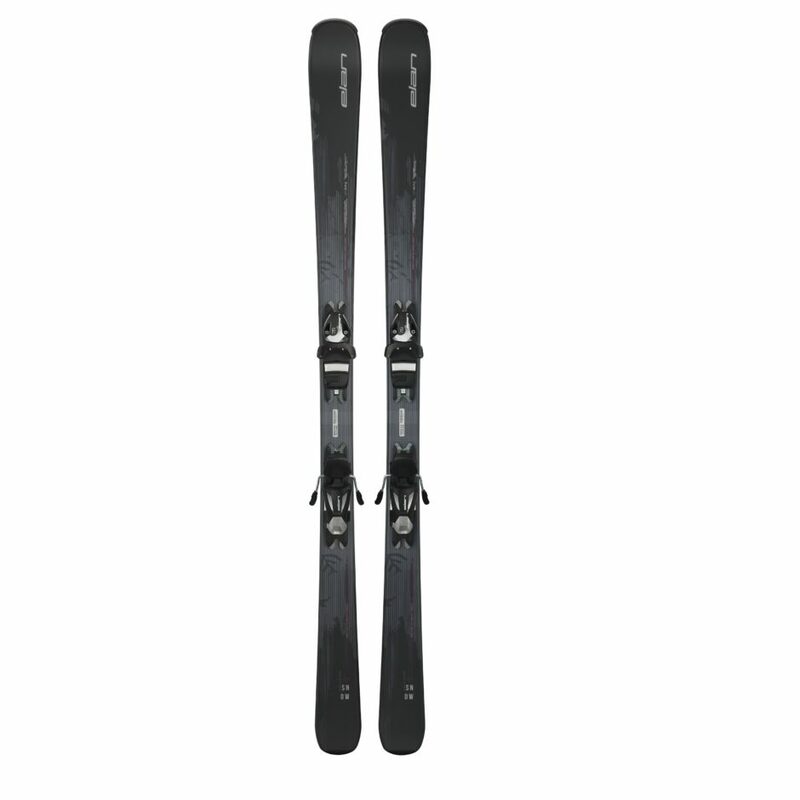 For 2018, Nordica retired their much beloved La Nina and re-booted it in the form of a wider version of the all-mountain charger Santa Ana. 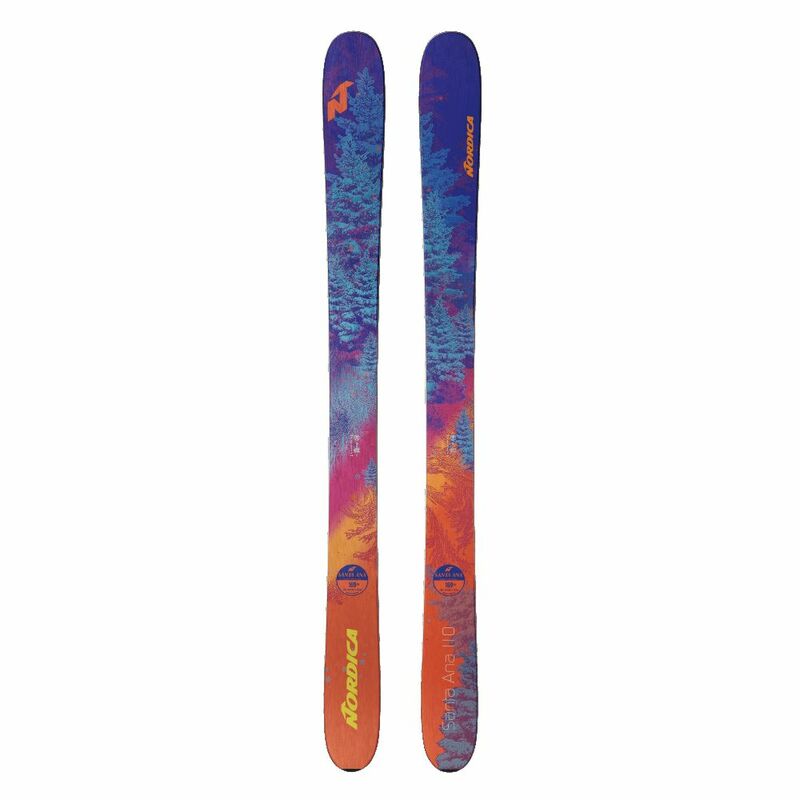 These powder players feature everything you need to pilfer fresh pow, from the dual-Titanal layers for power and dampness to the ultra-lightweight hybrid balsa core and carbon laminates for snap and quick direction changes. 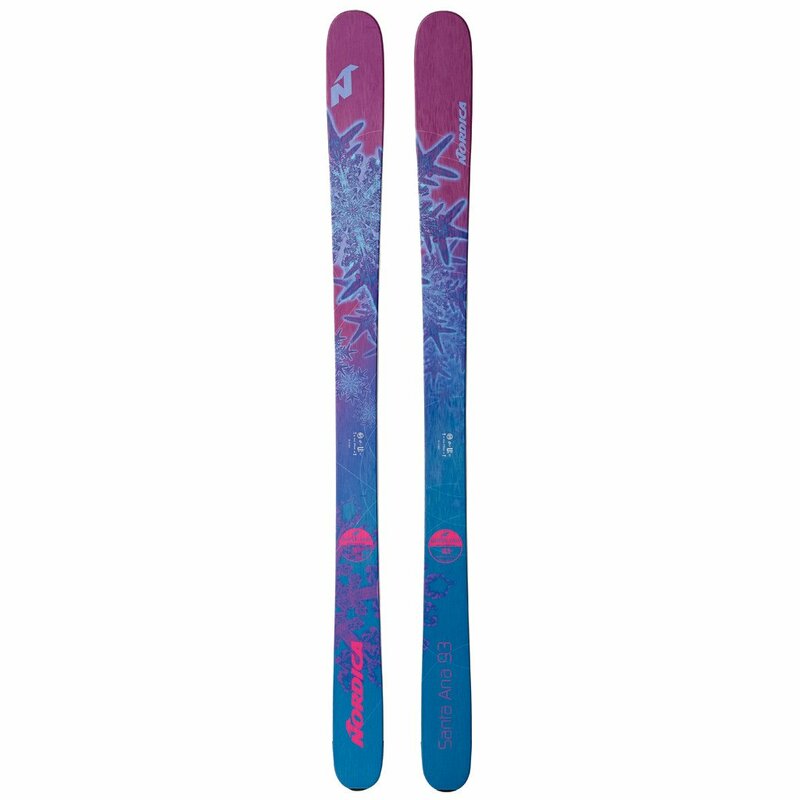 Built and designed for aggressive ladies on the hunt for steep and deep snow, the Nordica Santa Ana 110 Skis just need a warrior woman to take the reigns and bring ’em up to speed. All Mountain camRock – Santa Ana – All Mountain camRock! 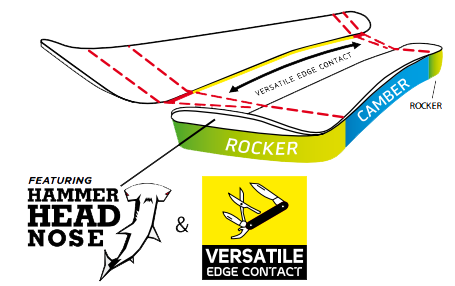 Technology pulls the traditional contact point of the tip back about 25% and the tail 5%, creating slight tip and tail rocker to aid the camber under foot. 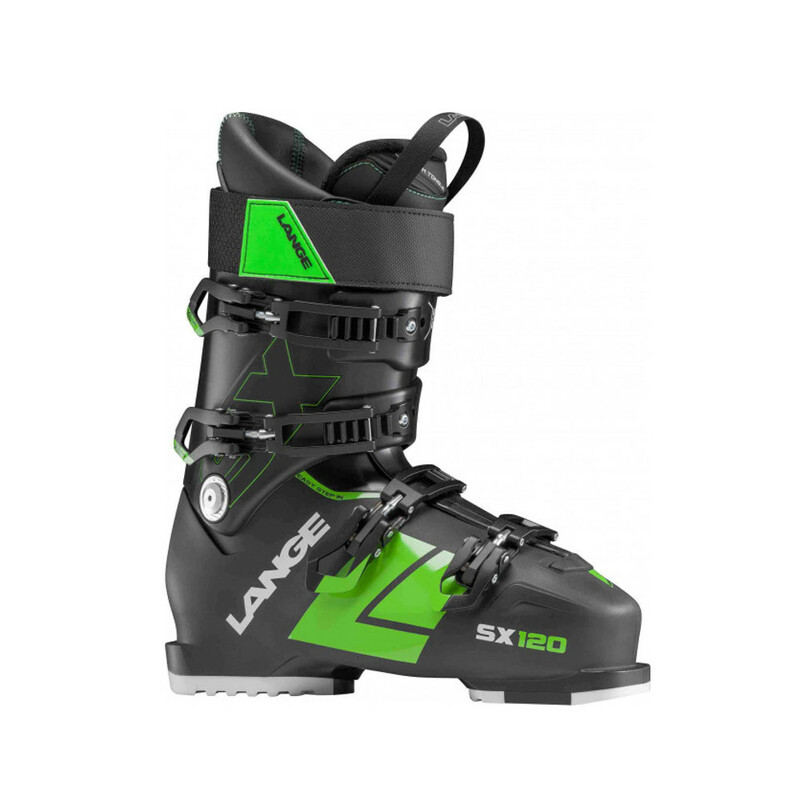 The result – increased floatation, velocity and maneuverability in soft snow as well as significantly increased ease of turn initiation in any condition. Hammerhead Nose – Low, broad tip shape that maximizes on edge snow contact while reducing unstable tip vibration. Energy 2 Ti Balsa Core – New to the Santa Ana and Enforcer collection this season. Built off the Energy 2 Titanium construction, modified using a super lightweight balsa wood core. With this construction you get the high performance feel of metal with the lightweight advantage of the balsa core. Titanal® – 0.4 mm Titanal® laminates above and below the core. 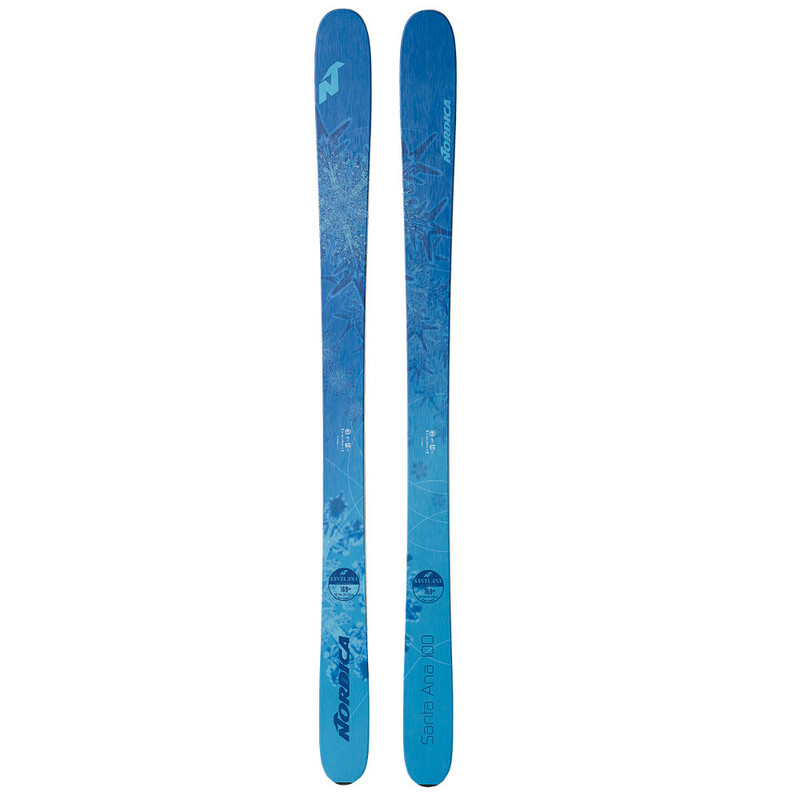 Carbon Prepreg “LW” Laminates – Two sheets of carbon over the edges for stability and edge grip.